Do you walk into your home office and immediately feel demotivated? Over time, our workspaces can start to feel drab, cluttered, and glum — none of which is particularly good for productivity. You may not have the time (or money) to completely renovate your work space, but there are fast, simple things you can do to make things brighter and more refreshing. Plants. Live plants add oxygen into the air, which also improves your mood and attitude. Paintings. Certain colors of painting, such as blue, are considered to make you more mentally active. Mirrors. Mirrors will brighten up a space, adding natural light and making the space look larger. You can start by investing in just a piece or two of meaningful decor, building as you go. Natural light is proven to be better for health and motivation. Change the temperature of your light bulbs, open up your windows, and make sure there’s a lot of bright fabric around to disperse the light. You’ll find your mood better when you’re working in a brightly lit space. A single old item of furniture can be replaced to make your office look newer and more modern. Chairs and desks are two examples of furniture that tend to take up a lot of visual space in the room. You can even consider having furniture reupholstered or refinished rather than purchasing something completely new. Take a weekend to paint your office in a different color. Sometimes it doesn’t even matter what color you’ve selected: just having a brand new look can make you feel more energetic. 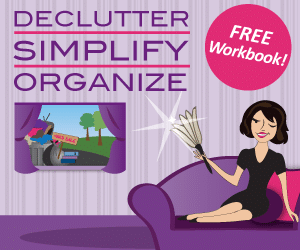 A clutter-filled work space is always demoralizing. If you feel as though your clutter has gotten away from you, it may be time to add some storage. File cabinets and shelving are a good way to “hide” things that you don’t immediately need, streamlining your working space and making it far easier for you to concentrate. Consider building out your office’s closet with some internal storage, so you can keep important items safe. The flooring of a room is one of the fastest ways to make it look different. You can consider changing up the carpet, adding different types of flooring, or even tiling your floor to drastically alter the room’s appearance. If you don’t want to completely change out the floor, consider the addition of a brightly-colored, high quality rug. Just make sure the pile is relatively low, if you have a traditional office chair; high pile carpets tend to be difficult to move on. Getting a standing desk rather than a traditional sitting desk. Investing in a monitor riser that will place the monitor at eye-level. Getting a keyboard tray that places your keyboard below the desk. Purchasing a chair that has extra support for your back. Getting a foot stool to put your feet on while you sit. All of these things really depend on what ergonomic problems you’re having right now, such as sore knees or sore elbows. Having the right ergonomic solutions will reduce the chances of a repetitive stress injury. A new copier, printer, or scanner. A coffee machine or an electric tea kettle. A brand new monitor, or a multiple monitor solution. An appliance doesn’t have to be expensive or state-of-the-art to make your work space look different. Adding utility to your office space can also make it feel like new, as long as making it feel more comfortable to spend a significant amount of time in. With the above tips, you should be well on your way to making your home office feel like new again. Periodically refreshing your space will keep it useful and efficient, in addition to just improving its look and feel. For more information about how to make the best out of your home office space, follow the experts at Get Organized Wizard.